The Premier League side Chelsea have reportedly pinpointed Barcelona’s Brazilian midfielder Philippe Coutinho as a replacement for key man Eden Hazard. According to Mundo Deportivo, as quoted on Calciomercato, the Blues are understood to have decided that the former Liverpool man is the star they want to replace Eden, should he go on to finalise a move to Real Madrid. Hazard has been heavily connected with a move to the Santiago Bernabeu and his contract up at the end of next campaign he is being tipped to leave Stamford Bridge at the end of the term. 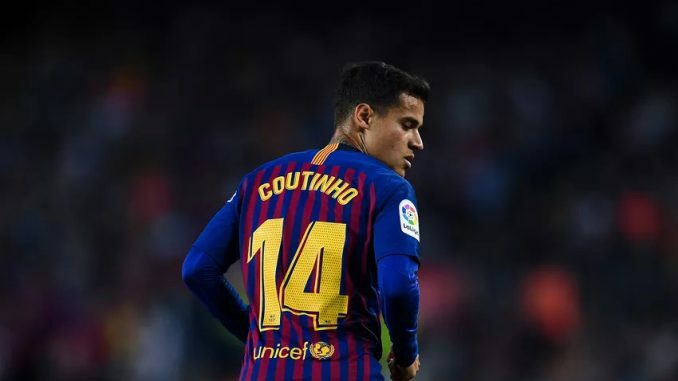 Philippe Coutinho has been connected with moves away from the Camp Nou recently after struggling under Spanish manager Ernesto Valverde. The Brazilian star has started 12 La Liga games this campaign and scored four goals in that time, but doubts have been raised about the player’s long-term future at the Catalan club. Ole Gunnar Solskjaer’s Manchester United have also been connected with a move to bring Coutinho back to the Premier League, in what would be a surprise deal to see him leave La Liga so soon.